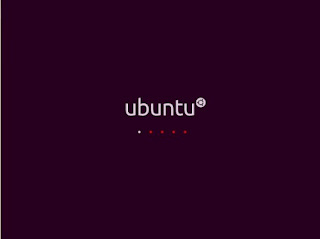 Some common problems encountered during Ubuntu installation are known to be a Blank screen, messed up display, half screen display, hang at the Ubuntu logo screen, Input/Output Error, missing partitions in installer, greyed out Forward button etc. So, in order to diagnose your problem, you need to go step by step. The first thing you need to do is to check the health of your downloaded image to check it against any possible defects during download. See here. If the Sums don't match, you need to download a new image. Using a Torrent client like BitTorrent or Transmission etc minimizes the risk of data corruption during the download as it automatically keeps on checking the hashes. While burning the image to disc, make sure you burn it at the slowest possible speed preferably 4x. See here. Once you burn the disc, checking it for defects will save you lot of troubles later. Boot from your disc and as soon as the computer starts booting from the disc, you'll see a black screen with a Keyboard and a Man in circle at the bottom of your screen. Press any key at this screen and you'll gain access to the Options Page. The options page looks like this. Choose "Check disc for defects" and see if the disc is healthy. 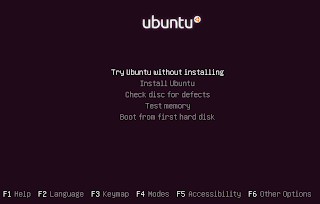 If your Bios supports USB boot, you can use a USB drive as an installation media for Ubuntu. See the article here. So if you were booting from a USB drive and were having some boot problems, first of all switch your USB creation software to some other. I would prefer UNetbootin in any case as it is the best one I have ever used and never had problems. Another thing to change is your USB drive itself. If you get some input/output errors or the boot hangs at some stage, although it may be related to some other things as well, most probably it means that your USB drive isn't healthy and you need to try with some other drive. Due to some problems with 'X' upstream, booting Ubuntu on some machines leads to a blank screen or a messed up display. For solving this issue, please refer to the article here. 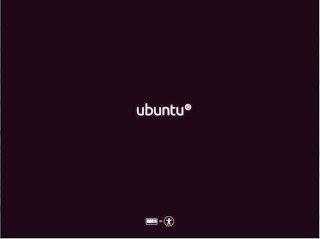 If your Ubuntu boot hangs at the screen shown in picture below, you most probably need to add some boot parameters. 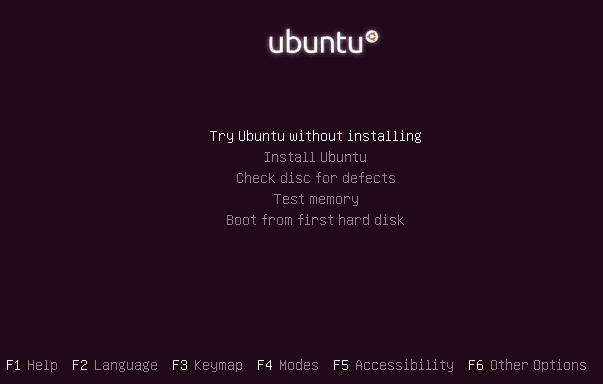 Access the Main page by pressing any key as soon as the computer starts booting from the disc and press F6. You'll see some boot parameters. There are 6 of them and you need to try all of them, one-by-one. For most machines acpi=off, noapic and nomodeset are known to solve the issue. More info regarding acpi and apic here. 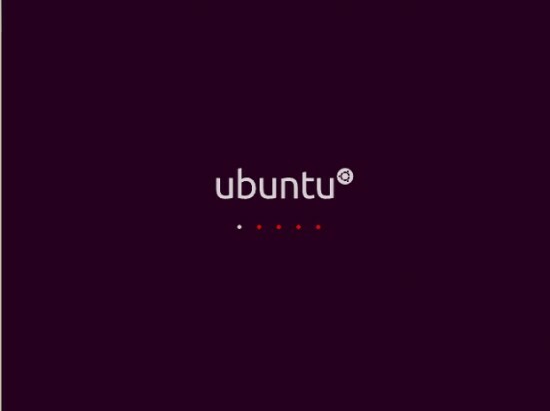 If you encounter an Input/Output Error during Ubuntu installation, first of all check your downloaded image and then the disc for any defects as mentioned above. If you were using USB drive, try with some other drive and some other USB burning software. If none of above stated solves the issue, there are a few possible causes. 1. Your CD-ROM drive or System itself is heating up. Move your system to a cooler environment. 2. Your HDD or IDE/SATA cables are not healthy. Swap the cables, change jumpers, change controllers and try again. At last, check your HDD for possible bad sectors using Manufacturer's Tools easily available from corresponding websites. 3. RAM is not healthy. Run a Memory Test from Options Page shown in an image above. This is a known bug with Maverick installer (known to be fixed for the future releases). At the page where it asks you for personal information, the Forward button greys out without any error messages. Possible reasons are capital characters or spaces in user name field, passwords not matching or passwords not being accepted. First of all, go to Applications > Accessories > Terminal and find the output of this command. Does it list your HDD and partitions? If not, proceed to the topic Missing Hard Disk Drive below. If you can see your partitions in the output of above mentioned command but can't see them at the installer's partitioning page, a possible cause is that your HDD was previously involved in a RAID setup and some RAID files are still there. You need to remove them. Important: If your drives are still in a RAID, following the command below will remove them from RAID and might result in data loss. Replace sda with your drive listed in the fdisk output. It might be sda, sdb, sdc and so on. Repeat for all your drives (not partitions). Also check your Bios for any RAID settings and turn them off if you don't intend to be using RAID. If there are any overlapping partitions in your HDD, you won't be able to see your partitions in Gparted or at the installer's partitioning page. Overlapping partitions look like this in fdisk output. This is one case of over-lapping in which the partition is over-lapping total drive sectors. You partition might be overlapping the disk or another partition, but the solution is same for both. See here. If the fdisk command mentioned above doesn't even list your HDD, a few known causes are stated below. With some newer motherboards, the Linux Kernel doesn't support some SATA controllers and in return, you are unable to install Ubuntu. 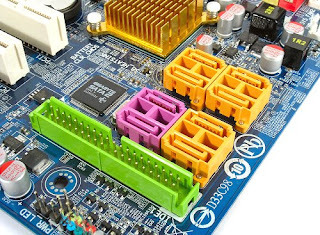 Thankfully, most of these motherboards come with 2 or more controllers so if one is not working, you can switch to the other one. Different SATA controllers look like different colored port pairs on the motherboard. Remove your drive's connector from one and plug it to the other and try installation again. If you are not using a RAID setup, switching your HDD mode to 'AHCI' or 'Compatible' instead of 'RAID' from BIOS menu might also help. But remember, if you are using a RAID setup, you might lose it as well the data if you switch the HDD modes.